The staff at Avalon takes pride in the service and design work that we do for families, friends, and co-workers who have lost a loved one. While we can and do design the very traditional sprays, and baskets, we are best known for our personalized custom designs. We like to know about your loved one. We design outdoorsy arrangements with birch bark, moss and wildflowers for the hunters and cottage folks. We design bright cheerful gerbera daisy vases for younger teens and children sometimes with keepsake mementos. A black vase with orange lilies and Harley Davidson memorabilia just seems to work better than traditional roses and carnations when a biker dies. 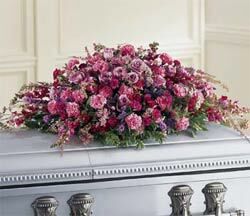 While your funeral director may suggest a florist, choosing your florist is your decision, not the funeral director’s. 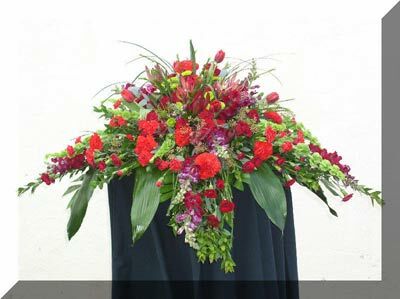 You should not feel any pressure to choose any specific florist. 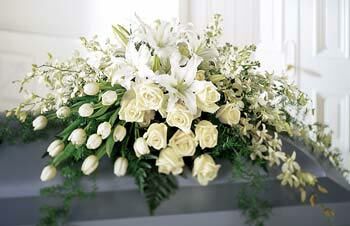 We know that planning funerals is difficult. We will treat you and your family with dignity. We will answer your questions and offer suggestions patiently. 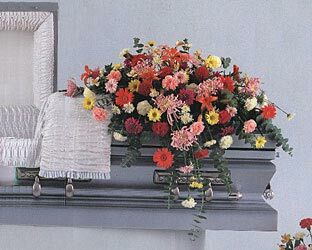 Our customer’s have told us that while they sent a lot of the flowers to nursing homes after the funeral, they bring home the flowers and plants from Avalon. Eau Claire flower delivery is free. We also deliver to surrounding cities including Menomonie, Bloomer, Colfax, Cadott, Fall Creek, Augusta and Mondovi.